In a society obsessed with technology and social media, we are constantly bombarded by loads of information on a daily basis. The fact is anybody can post information online and just because something is gaining popularity on the web does not mean it’s accurate. Now more than ever, we need to be very conscious of where our information comes from. Does the founder of this website have a motive for posting certain content? Is a company claiming to be a guru on a topic that isn’t even in their field of expertise? I was first introduced to Zillow leads when I left my previous real estate team. It was my first time working entirely on commission, and I was trying many different ways to generate leads. An agent in my office told me about the Zillow leads she paid for. She offered to share a few of them as she didn’t have enough time to contact all of them in a timely manner. The first Zillow lead email she forwarded me included the name, number and email address of somebody who was interested in a South Austin home. At the time, I didn’t realize how the Zillow lead system worked. So, after an hour, I called this lead, ready to give them more information on the home. Happy to help and excited to talk to a potential client. After briefly speaking to this young man, I was informed that I was probably the 20th Realtor to have called him within the last two hours, and he wanted to be left alone. I instantly felt guilty and apologized. The image below shows that the potential buyer was interested in talking to somebody about the property and did inquire about it. Little did he know he’d get dozens of calls from multiple agents over the next week. I understand sales jobs are competitive and finding good leads is key to survival, but was this even a way to obtain strong, profitable leads? I believe nobody wins in this situation. The potential buyer is angry, and the agent is paying way too much money to compete with way too many agents. Also, it turns out many of these potential prospects are searching through Zillow because they want to browse through the home photos. And at the time of these first searches, they are in no way ready to transact on a property. Who is winning here? Definitely not the consumer. Let’s look into this a bit more. What is the lowdown on Zillow and similar sites? Many of the homes listed on Zillow may not be for sale. For example, a client of mine was intrigued by a house they saw on Zillow. Zillow’s data showed the house had been on the market for almost a month and was in the area and budget they wanted. What I found via the MLS is that the house had sold in three days a month prior and for over asking price. Another way Zillow can provide inaccurate information is through the agent listed with the property. You would think this is the “listing agent” or the “seller’s agent.” Wrong. It’s usually attached to a paying Realtor client of Zillow. It’s misleading advertising, and it’s taking advantage of people. So instead of turning to a massive online real estate database like Zillow, turn to friends and family. A simple social media post asking for a local Realtor will probably get you great results! Zestimates are Zillow’s algorithm-produced appraisals. They provide people with a basic estimate of what a particular property is worth. Are Zestimates ever accurate? Rarely. How can they be when there are so many factors to determine how much a house is worth. No two houses are the same which makes it impossible for a computer to determine it’s value. Zillow uses a computer generated algorithm based on what has sold in the area, the square footage and the number of bedrooms. The basics. They don’t have inspectors checking out each property making sure their data is accurate. That’s the only way to determine a property’s worth. Yet, many sellers will only look to Zillow when they start thinking about putting their house on the market. If you enter your information into online real estate databases, expect your phone to start buzzing. A consumer’s information will potentially be shared with hundreds of agents. The house you were simply curious about has now caused you hours of annoying calls, texts, and emails from different Realtors. If an agent is persistent…this could last for days. If you’re working with a Realtor, they’ve probably set you up with a home search. I know it’s still tempting to look on Zillow. You may see homes that fit your exact criteria, and the price is great! But why hasn’t your Realtor sent you these? Unfortunately, the listing is probably not accurate or available at all. Realtors set you up with home searches which are directly from the MLS (Multiple Listings Service). The MLS will be the most up to date home search you can get, and it will come directly from a Realtor. With an MLS search set up via a Realtor, you will know the homes in your search will be on the market. Also, if you set up your search with a Realtor, they will be the only one contacting you. But what if you’re merely curious and not ready to buy? And you don’t want to waste anyone’s time! Realtors work on commission, so I realize you may not want to waste their time. Most Realtors won’t mind helping you with a simple automatic home search. It takes almost no time! Realtors work in a competitive field and by going out of their way to help somebody now, they are slowly building a connection. A new client may use this Realtor in the future or even recommend them to a friend. If not? They’ve wasted almost no time. Not to mention saved somebody the headache of sifting through false material and dodging a million sales calls! 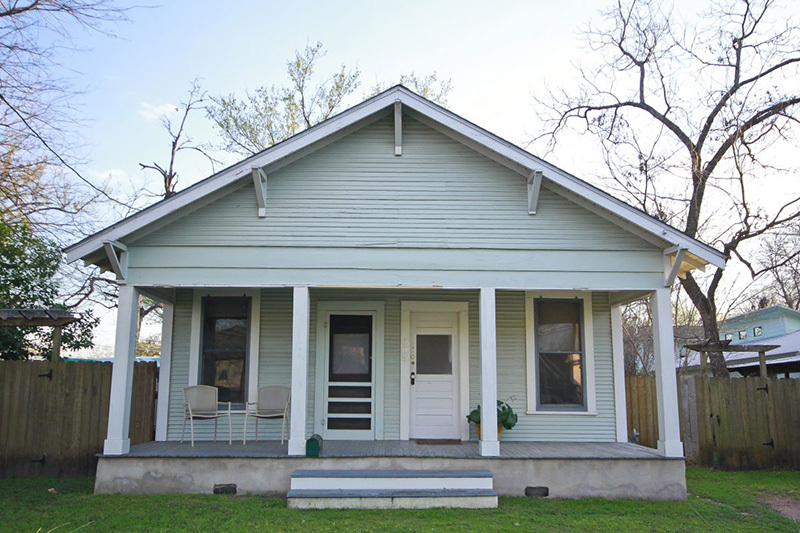 What Does Austin's Seller's Market Mean to a Buyer?